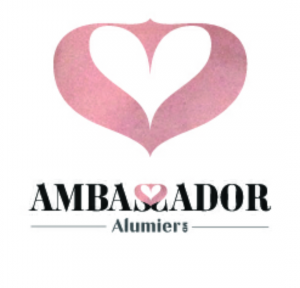 We are very proud to announce being awarded AlumierMD UK ‘Centre of Excellence’ and given Alumier Ambassador status. With a variety of peels, each with a unique complex of medical grade, cosmeceutical ingredients we can customise your treatments to target specific skin concerns whether they be ageing, pigmentation or spots and blemishes. Each treatment includes an exfoliating peel treatment, brightening enhancement followed by prescriptive serums to target your concerns, revealing a more radiant, soft and luminous skin. 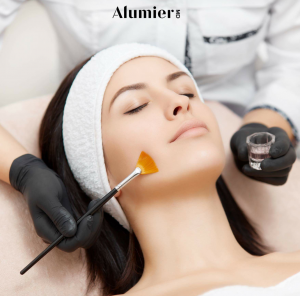 AlumierMD offer light & medium depth peels known for their excellent results and safety profile and believe in repeated treatments for progressive and gradual results to avoid side effects and downtime associated with deeper peels. They are only performed by trained skin care professionals in a clinical setting to ensure that they are delivered safely and effectively. We recommend a course of six peels over six months for best results. A chemical peel is a way of exfoliating the skin. It’s called ‘chemical’ because it causes a bio-chemical reaction within the skin. The low pH of a peel solution, once painted onto the face, encourages the velcro-like bonds keeping the dead cells stuck to the skin to dissolve. When that dead skin is gone the body replaces it with healthy new skin helping to improve acne, pigmentation and acne. You may experience residual redness which last between 1-12 hours, your skin may also feel tight & pulled. Please do not cleanse your skin the evening of treatment or apply ice or iced water to the area. Do not allow your skin to get wet. Allow your skin to rest & stabilise overnight and sleep on a freshly laundered pillowcase. You should not necessarily expect to ‘peel’ however you may experience some light to moderate flaking for 2-5 days. A light alpha hydroxy acid resurfacing peel which is perfect for giving normal, well behaved skin a monthly freshen-up and is also a good starter peel for first timers. This peel exfoliates dead skin cells & boosts cell turnover for a luminous, soft, radiant skin. A light AHA and BHA resurfacing peel not only exfoliates the surface of the skin but unplugs blocked pores and follicles reducing acne, pimples and acne rosacea. The result is a clearer, fresher skin. Also ideal as a deep clean treatment. This is a potent and pure Retinol and Lactic Acid resurfacing treatment. It reduces the appearance of fine lines and wrinkles by boosting collagen production and speeding up cell turnover, creating a more radiant and even-toned complexion. This light to medium depth advanced chemical peel combines lactic acid, salicylic acid, and resorcinol. It helps to improve skin’s appearance and texture. This peel minimises the appearance of fine lines, sun damage, pigmentation, age spots, discolouration, and uneven skin tone. Purchase the recommended course of 6 AlumierMD Peels and receive your 6th peel free! Using our specialised skin scanner, we can detect pigmentation, dehydration, thickened skin and more. This is an invaluable tool which ensures you are taking the correct course of action for your skin. Our scanner also provides vital information when choosing products and a peel regime for your individual needs. Please attend with no makeup on. Skincare can be a very confusing subject and wading through the hundreds of products on the department store shelves can be time consuming, confusing. Have you done this hundreds of times and still don’t see results? We have done all the research for you, and have chosen the very best professional skin care products available, with both in-clinic treatments supported with at-home products. We selected AlumierMD because they have been clinically and scientifically proven to work. Medical grade and cosmeceutical, skin solutions. Containing therapeutic doses of active ingredients which will have a physical effect on the skin. There are NO parabens, NO dyes, NO sulphates, NO petroleum, NO fragrance, NO mineral oils, and NO palm oils in any AlumierMD product. 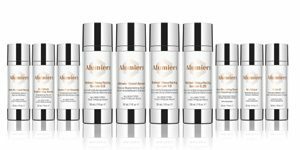 AlumierMD products are not available to buy on the high street.